Seamus Perry and Mark Ford discuss the work of W.H. Auden, with reference to pieces from the LRB archive. Michael Wood: What Kind of Guy? Seamus Perry: Welcome to the LRB podcasts. My name is Seamus Perry, and I teach English literature at the University of Oxford, and am a contributor to the London Review of Books. And I’m talking to Mark Ford, who is a professor of English at University College London, also a contributor to the LRB, and also a poet. This is the second in a series of conversations about literary figures who have appeared as subjects in the London Review of Books. Our first subject was Philip Larkin, and today we’re talking about an earlier poet, and indeed an influence upon Larkin: W.H. Auden. So perhaps a place to start, Mark, would be to say something about Auden’s origins – his background, and where he came from. Mark Ford: There’s something particularly English, I think, about Auden, and ways in which his poetry connects with the English landscape; and though he moved to America later, I think that his Englishness is vital, and it’s a particular kind of Englishness – it’s a provincial Englishness. He was born in York, but his parents moved to Birmingham the following year; he was born in 1907 and they moved in 1908. His father was a medical officer for Birmingham schools, and Auden grew up in I suppose what we’d call an upper-middle-class environment. And I think it’s worth remembering a lot of his forbears were in the church. There can be something that seems a bit preachy or didactic about Auden’s poetry, and I think, if you think of him in a pulpit and think of his forbears in a pulpit, that makes a great deal of sense; and someone like Stephen Spender has commented on the extent to which Auden liked to feel in control of his material, and to deliver it in a somewhat, seemingly didactic mode. So, the extent to which his ancestors belonged to the kind of clerical tradition I think is worth pointing out. But he was also very interested in science, and particularly interested in mining and engineering – and he talks very often of how the early landscapes of his youth were essential to creating a sense of mystery and magic in landscape, and that they recur not only in his very influential early poems, but even in late poems he’s always harking back to the disused mines of the kind of Pennine region. SP: Yes, Auden himself speaks in several places, doesn’t he, about the oddity of his parents’ match, because his mother represents that churchy interest that you’ve just been talking about – she was very high-church Anglican – and his father was a psychiatrist, and had shelves of books about psychiatry, and started that whole interest that Auden has throughout his life in ideas of clinical mental analysis, and clinical psychiatric analysis. MF: Yes, and his father’s essays were influential on his own ideas – you can trace links between essays of his father’s and Auden’s own attempt to diagnose; and he did love diagnosing, and that sort of derived from his father. But the artistic side, especially the love of music, would have derived from his mother’s side – they used to play Wagner duets together. And he was very close to his mother, and that parental relationship was, I think, probably more vexed than the one he had with his father. He travelled with his father to Germany, and got on with his father in a fairly straightforward way; but I think his relationship to his mother was more complex, and might have had more to do with his becoming a poet, especially one interested in psychiatric oddities, than his relationship with his father. SP: I’m sure that’s right, and certainly he attributed large amounts of his adult personality to his relationship with his mother – not least his sexuality – didn’t he? MF: Well, I think that is a key thing about Auden was that he was gay, and he was at a time when it wasn’t as difficult as it became in the fifties to be gay, but his homosexuality was something that set him apart. I suppose the other crucial aspect of his upbringing, which affects his poetry from beginning to end, is that he went to public boarding schools, and he often said later in life that he understood how a totalitarian regime worked because he’d been to a boarding school. And even in a long poem like The Orators, which is a kind of revolutionary poem, there’s also a sense in which it’s an exposition of what happens in Officer Training Corp at a boarding school in the 1920s. SP: Yes. The school was Gresham’s School in Holt, which I’m sure these days is an impeccably liberal establishment, but in those days does seem to have been a rather strange atmosphere of discipline pervaded the whole thing, with what they called the Honour Code, which was the invention of a particularly influential headmaster. He didn’t like school much, did he? But the great thing about Gresham’s, I suppose, is that it gave him a scientific education, wasn’t it? That’s one of the things that characterised the school – you didn’t do classics and a traditional education like that, you did the sciences, the natural sciences. And it was with a scholarship in the natural sciences, wasn’t it, that he went up to Christchurch in Oxford, to become an undergraduate. SP: It was the first time it was struck him, wasn’t it – that’s right, yes. MF: Never occurred to him. So he was, what, fifteen at this time. And he decided there and then not just to become a poet, but to become a great poet. And, extraordinarily for an undergraduate, he did write great poems while he was still in his very, very early twenties – or twenty, in fact. SP: Yes, so shall we have a quick look at one of those? So, he publishes a volume called Poems in 1930, and before that T. S. Eliot has published a verse play that he’s written called Paid on Both Sides in his journal, called The Criterion. So this is a very striking debut, isn’t it? He’s very young, and he’s been taken up by what is by far the most important publisher of contemporary poetry in England. MF: Yes, and I think his poetry becomes good at the moment that his early saturation in the works of Thomas Hardy – he said he read nothing but Thomas Hardy for two and a half years, Thomas Hardy’s poetry, and Edward Thomas and Wilfred Owen, and the English tradition. That saturation received this kind of electric jolt in 1926, when he read ‘The Waste Land’ four years after it was published. And I think the meeting of this English tradition with high modernism, as exemplified by ‘The Waste Land’, was what completed Auden, at a very young age, as a poet. So he could write the most astonishingly assured, authoritative, convincing, original verse when he was still twenty, twenty-one, and an undergraduate at Oxford. How would you characterise that sort of voice? I mean, there’s nothing like it before, is there? MF: There’s nothing like it. I think one of the key factors in its mesmerising power is its indeterminacy – that you’re not exactly sure who he is, what the key is, what the passes are, whether they’re passes as in some frontier district, or they’re passes as in some kind of sexual advance to someone. There’s a kind of mystery about the lines; but it ties in, as well, with a sense of menace, of threat, of some kind of obscure crisis which is overhanging the protagonist, who is somehow an every person – he’s a trained spy, but he’s one who has failed: he’s been seduced by the old tricks. And that sense of failure, which is dominant in Auden’s poems, struck his early readers as particularly important, that it connected with the zeitgeist. My own sense of one reason for that is that Auden can be seen as one of the first, or perhaps the first, post-imperial poet – that the England that he describes is one which is losing at this point, that the Empire is collapsing, and the machinery’s rusting and the industry is comatose, and so on; and its spies are unsuccessful in their … whatever battles they are facing with spies on the other side. SP: Yes, we have no idea, do we, from the poem, of any narrative details about what the different sides are in this Cold War, or this hot war. We don’t know any narrative details of any kind at all. But he has learned from Eliot, hasn’t he, this ability to join up private psychological problems with a more epochal sense of historical crisis – and that’s one of the things he’s got from ‘The Waste Land’, and is deploying in a completely idiosyncratic way. SP: Yes – that’s the atmosphere of early Auden, isn’t it: trouble coming. MF: Trouble is always coming, and there’s also been some failure of communication – the wires have been ignored. But I think the modernity of the landscape is also kind of striking. I mean, this is a poem that, if you look at it, is actually a sonnet, which makes one feel it’s probably connected to the tradition of the love sonnet – but its language is completely kind of lacking in that sort of literary tradition. SP: Yes, so Seamus Heaney has a wonderful essay about Auden which appeared in the LRB in 1987, in which he’s got a great sentence, which I think captures some of the qualities of the early verse that you’re talking about. Heaney says, ‘The rhythmic disjunctions in Auden’s lines, the correspondingly fractured elements of narrative or argument, are wakenings to a new reality, lyric equivalents of the fault he intuited in the life of his times.’ I think that captures what you’re saying rather beautifully, doesn’t it – this sort of interplay between the internal strife of sexual neurosis of one kind or another, but also a kind of a politicised or a political sense of a wider historical catastrophe that is imminent – and which of course, as we know in hindsight, came to pass. MF: It did indeed. I think it’s striking, in comparison with Eliot as well, who sort of advertised the disjunctiveness, that most of Auden’s poems are in what look like recognisable forms – they look like poems that anyone from the nineteenth century might have put out in a volume. So they don’t look disjunctive, and they don’t surprise you with bits in italic, or from Italian, and so on – they look fairly traditional; and yet, they do somehow manage, within their forms, to capture the fracturedness which Heaney’s referencing there, and which ‘The Waste Land’ so kind of strikingly embodied for poets of Auden’s generation. SP: So, part of his extraordinary kind of sensitivity to the epoch in which he was living historically was that he had spent some time in Germany after university. He doesn’t write about Germany in quite the same way that Isherwood does, does he – it’s very much a more kind of implicit subject, it kind of informs the poems that he writes about this English landscape you were talking about, rather than being a series of poems set in Berlin, as it were. MF: Yes, I think Berlin was a kind of sexual liberation in many ways for Auden. I think he found there was … that because of the crisis in the deutschmark, he could live quite well on the money that he was being given by his parents. He’d left Oxford, famously, with a third, which didn’t at all suggest he did justice to himself in his finals; and he was at a loss, but he knew he wanted to be a poet, but he didn’t know how to make a living, but his parents continued to support him. And, while in Berlin, he read enormously, particularly in kind of writers such as Homer Lane and John Layard – or ‘Loony Layard’, as he calls him at one point. And I think it’s worth pointing up the absolute voracious nature of his reading – that he absorbed incredible amounts of material. He was … You can’t work out how he could have had time to have read all the things that he did read, and the way he incorporates them. I mean, a striking example is in the last lines of ‘The Secret Agent’, which are actually borrowed from ‘Wulf and Eadwacer’. He was very interested in Anglo-Saxon poetry, and yes, though he got his third at Oxford, he made better use, certainly, of the Anglo-Saxon bit of the course than many of those who have studied it since. Parting easily two that were never joined. He’s actually transposed from this old Anglo-Saxon poem. So, like Eliot, he was able to kind of create poems out of collage, but he disguises it rather than advertising it, so that they become part of the Audenesque … well, the Audenesque – it’s an adjective almost by the mid thirties, isn’t it? MF: People are applying that, and they know what they mean. And the Audenesque doesn’t have to have been written by Auden, it just needs to have been incorporated by Auden into an Auden poem, and then it fits there. SP: And you see lots of younger, slightly younger, poets – or indeed slightly older poets – of the time totally taken over by this voice, don’t you? So there are early poems by C. Day-Lewis, for example, or early poems by Stephen Spender, that you can see are really struggling to escape the extraordinarily kind of charismatic influence of this voice. MF: It can be almost embarrassing, reading poetry of the thirties, to find out how many poets were imitating Auden in the most, you know, compulsive of ways – and it’s testimony to the extraordinary charisma and magnetism of his early idiom. There’s a line by Charles Madge in which he talks of, ‘There waiting for me in the sunlight was Auden, fiercely, I read, shuddered, and knew’ – as if reading Auden was a kind of initiation into modernity, into a new way of being, as well as of writing. So I think part of the power was that the poetry was not just good poetry – it was … it seemed to those who read it at the time to embody or incarnate an entire new mode of being, whether you think of that as a post-imperial mode of being, or a modern, or a pre-World War II mode of being, whatever … however you want to characterise what Auden later called the ‘low dishonest decade’ of the thirties. Auden was taken up as a spokesperson – and he didn’t particularly like that, or want that role, or in some ways resisted it; but it was a role that his poetry fulfilled, for good or bad. SP: So, William Empson – of course a great critic, but also a poet, but from Cambridge – looks back in the 1960s and remembers this period, and Auden’s voice within it, and he says one of the things that made Auden’s voice so compulsive for poets of his generation, of Empson’s generation, was what Empson calls this mysterious curl of the tongue, this sort of odd sense of fun going on. And I wonder if what Empson has in mind is not rather brilliantly exemplified by the next major work that Auden publishes, in 1932, which is this extraordinary and almost unclassifiable work called The Orators: An English Study. Can you give us some sense of what this book is like? Because I’m not sure it’s a very widely known book these days. MF: No. It was very influential at the time. Auden himself, when it was republished in 1966, said he must have been mad when he wrote it, and the person, he decided, who wrote it was on the border of mania, and either a fascist or a totalitarian of some kind. And I think what is so extraordinary about it is, as you’ve been suggesting, it’s partly you can’t tell to what extent it’s a spoof and to what extent it’s a serious revolutionary text – that, whereas someone like Bertolt Brecht will be writing poems which really call for the revolution, Auden’s revolution is heralded by stink bombs, and a widow bending into a hoop, and people stealing the lavatory paper from the toilets, or all kinds of schoolboy pranks. And yet, within that kind of very comic idiom that the poem establishes, and it makes use of lots of different … it opens with this headmaster’s speech, which starts off as a parody of a headmaster’s speech, but ends up rather sinister and chilling, and they lock the doors, and the boys are thrown into a black hole. So it has got … it smacks of the junior common room at a boys’ public school; and yet, at the same time, you do feel that … Well, Auden said that it was written in sweat and in blood, and you do feel that he is creating a vision of Englishness which teeters on the prank, but is also deadly serious in other ways. SP: It’s also a book … I mean, it’s not really a poem, exactly, is it? I mean, there are poems in it, and there’s poetry in it, but there’s also, as you’ve been saying, lots of prose, and there are even sort of genetic diagrams, and all sorts of odd bits and pieces. And, as a book, it’s partly coming out of a sense of a gang, isn’t it, or a sense of a group. So it’s dedicated to Stephen Spender, and there are references – quite private references – to his friends by first names in some of the poems. What do you think he’s doing with that? What’s that sense of the gang or the coterie all about, do you think? MF: Yes, I think you can read his poems in relation to coterie poetry – I mean, as you can that of, say, Alexander Pope, or later on Frank O’Hara and John Ashbery, who are both very influenced by Auden in different ways. So I think, in Auden’s case, it may be something to do with his homosexuality, that it created a world of secret signs, and that he and Isherwood together developed as a sort of idiom which makes use of cryptic signs, and it then develops out of that private language into a very public language in The Orators. And it also has this character called the Airman, and the ‘Journal of the Airman’ is this description of this airman’s fascination with his uncle, who’s some kind of messiah figure, but also perhaps is a kind of older gay man, who is going to induct or initiate Auden and his bunch of friends into this kind of mysterious new way of being – which is, in some ways, like a cult, and in that sense it is quite close to the ways in which Nazism, or indeed communism, would recruit its initiates. And it’s partly fascinated by that process of joining a gang, becoming part of the gang, using the language of the gang; and it’s partly aghast, and wanting to undermine and spoof that particular process. SP: Yes, that whole kind of interface or interplay between the private and the public is something that Auden is fascinated with, isn’t it, throughout the thirties, and then, perhaps in a slightly different way, later in his life. And the epigraph to the whole volume is a striking one, I think. So, it’s dedicated to Stephen Spender, as I said a moment ago, and then the little verse that accompanies that dedication is ‘Private faces in public places are wiser and nicer than public faces in private places’. So this would seem to say that, you know, the source of value, or the source of meaning, or the source of wisdom, or the source of niceness, is the private life, is privacy, and what one doesn’t want is the intrusion of historical or public or political forces into those private places, which is where value inheres. That almost feels like a Bloomsbury-type message, doesn’t it? Or, anyway, it’s certainly not a Marxist message, particularly. He’s troped, or he’s characterised, as a left-wing poet, as the Laureate of the left, for a lot of the 1930s, isn’t he? I mean, how accurate do you think that is? MF: I think he could be a little bit contradictory about that. In some ways, he was quite a conservative in his political views, but in other ways he did write poems which kind of call for the death of the old gang, or imagine the six beggars attacking lords and taking over the high life. So I think Auden was somewhat conflicted, and he himself renounced lines like ‘new styles of architecture, a change of heart’ – he says, I don’t like new styles of architecture, and therefore I should never have written that in the poem, when in fact he’s using the term metaphorically – he has no right, in my opinion, to revise that line away. Fortunately, all these original … the English Auden, all the original versions, can be read now, rather than his revised versions of them. I think it’s an interesting paradox that Auden, who seems so in control of his talent, and so in control of his meaning or what he’s saying, at the same time there can be … and what makes the poetry so fascinating, is a kind of inchoateness or uncertainty, a kind of energy which hasn’t quite … isn’t answered to by the meaning of the poetry, and that that kind of conflict is what drives the poetry. I think it’s worth remembering, as well, that The Orators was written while he was teaching in a public school. I mean, after Berlin he taught first in Scotland, and then in Herefordshire – and he spent four years, I think it was, teaching in public schools. So, having denounced them as kind of fascist institutions, he then made a living out of them. And he was, again, I think both fascinate by their kind of cults, the way in which they create a kind of discipline and a sense of … set of coteries, and also, in some ways, deeply distrustful of that, and he connected that public school atmosphere with Englishness in a more general way, and I think he was right to – I wonder how many politicians since Auden have been to a public school; but the diagnosis of the failures of the English public school system, not just metaphorically, go to the heart of the ways in which the English politics run. SP: So, we’ve been talking about the ways in which he’s a deeply English poet, and that includes the political institutions of the England or the Britain of his day – the British Empire of his day, I suppose. The 1930s also see him travelling a lot, don’t they? I mean, he travels to Iceland with Louis MacNeice, he travels to China to observe the Japanese–Chines War with Isherwood – and these produce particular books, one called Letters from Iceland and the other one called Journey to a War. But they also, I think – would this be fair to say? – they also create a kind of much more internationalist sort of sense of life, or internationalist sense of what’s going on, so that, in some of his plays, for example – because also during this period he’s becoming a dramatist of quite an interesting and experimental kind, the plight of England or the plight of Britain is always located in a European context – he has a very kind of European conception of the politics of his day. MF: Yes, and his sense of the poet, in that way, is very different – it’s almost the poet as roving reporter, that the poet can be someone who’s a bit like a journalist in lots of ways. And in that he’s imitated by, say, James Fenton, who’s a great Auden admirer, who’s also a journalist-style, journalist-slash-poet. And Auden, after leaving Downs School in 1935, never actually settled anywhere for very long, that he was always on the move and travelled – it became almost a kind of compulsion to him, that he was always shifting quarters from one place to another. And he also liked collaborating – I think that’s an interesting aspect of his sense of the poet, that the poet wasn’t a kind of … in the ivory tower, someone … think of Yeats, transforming things into his private myth in his tower. Auden had the opposite sense of the poet, who was someone who was out there, and could write poetry almost on demand. When he worked for the GPO, the General Post Office, and he was writing things like ‘The Night Mail’, that’s still a very famous and much-loved poem, they describe how he would be writing away on his desk, and he would say, you know, If you like it, use it; if you don’t, just chuck it away. That sense of poetry as provisional, as relating to the moment, as reflecting history, as somehow a way of happening, to quote from the Yeats elegy, which we’ll come on to later, I think is a really new sense of poetry, that’s an absolute break with the symbolist ideal of the poet as somehow hermetic or somehow sealed off from everyday life – that poetry has been burst open by Auden. And the influence of this around … throughout America and Britain is enormous, and he really has changed the concept of what poetry can do and be, and how it gets written – and how it gets read, as well. So his influence, at this moment, is at its very height. SP: Yes, and that shows itself, doesn’t it, partly in his enthusiasm for people like Cole Porter, and for the language of the movies, and the language of popular music, and for an interest in light verse. So his – or at least on the face of it, a bit of a paradox: that the man who is the spokesman for the committed left intelligentsia is at the same time, in the later 1930s, editing The Oxford Book of Light Verse, and also writing, as part of the Letters from Iceland volume, the volume that’s co-written with MacNeice, this extraordinary thing called ‘Letter to Lord Byron’, which is, you know, I think one of his really early masterpieces, and one of his greatest long poems, I think. Could you say something about ‘Letter to Lord Byron’? MF: Well, it’s hilarious, for a start – and it’s very different from the other kinds of Auden in being easy … not hard at all to work out what he’s saying – it’s written in rhyme royal, he doesn’t use Byron’s ottava rime; and it gallops along, and it’s full of very good jokes, and it is a kind of conversational kind of poem, as well. So it in some ways relates back to a more kind of eighteenth-century tradition of poetry, I think – and this, again, is part of his way of breaking with the symbolist notion of the poet. And if he can’t think of a rhyme he just will write a word, I think it’s ‘anoint’ – he said, I couldn’t … there’s no other rhyme but ‘anoint’, and he writes that. So that sense of the provisionality of poetry – he’s making it up as he goes along, and we are invited to join in with it. And I think the display of wit that’s going on in that poetry is very important for our enjoyment of Auden – that he’s a very witty poet, his jokes are good. And there’s jokes not just within the poems, but that his life itself kept turning into jokes, so that, as well as Audenesque being kind of threatening and full of obscure menace, there’s a sense in which the Audenesque should also be thought of as a kind of high humour, and a way of responding to life which cheers one up through the ability to summon up jokes in a … when one’s feeling down. SP: Yes, and it’s a very collective, or communal kind of reading experience, isn’t it, because a joke is something that you share. So the emphasis upon intense, troubled, solitary experiences, lives that haven’t been connected up to other lives, that you get in lots of the very earliest Auden – and of course you also get in early Byron – is being moved on to something a bit different, isn’t it, where the act of poetry, or the act of making literary language, is a very much more social and a very much more participatory kind of act. That gives you the kind of metre and the kinds of spoof rhyme that you get throughout ‘Letter to Lord Byron’. SP: So, he’s attracted to this lighter manner. He calls Byron ‘the master of the airy manner’, doesn’t he, and he likes that. But at the same time, clearly, he felt obliged to continue to write these rather more monumental, politically engaged, or at least historically aware poems, and I suppose the one which became most famous, and perhaps most notorious, is the poem ‘Spain 1937’, which was the result of another one of his European travels, which was a visit to Spain to observe the Spanish Civil War, and in some kind of non-combative way to participate on the Republican side. The visit didn’t last very long, did it? He came back home – as I remember, he came back home because he was surprised to find himself so disturbed to see all the churches boarded up. SP: Might be the benefit of hindsight, do you think? MF: Possibly. It was a mess – I mean, everyone who went to Spain found it was a mess, and Auden did some propaganda, didn’t he, and he drove an ambulance for … which obviously he did very badly – he wasn’t a good driver. But Spain, because Auden cut it out of the canon, of his canon, and felt it was a … the kind of poem that was dishonest, and had a kind of political rhetoric that was cheap and easy; and he was also attacked by George Orwell, wasn’t he, for being a kind of … what was it, a pansy left, I think? SP: The pansy left, he says, that’s right. But Orwell also says that ‘Spain 1937’ is one of the few decent bits of writing to come out of the Spanish Civil War. MF: Yes, I mean, it has got … ‘to-day the struggle’ is said quite often in it, so in some ways it was a rallying call, and it was a poem inviting liberal intelligentsia in England to join the Republican cause, and many did, and a number of them died. The lines, in particular, that Orwell objected to was, ‘the conscious acceptance of guilt in the necessary murder’, which Auden later changed to ‘conscious acceptance of guilt in the fact of murder’. But Orwell said, that line could only have been written by someone who was always somewhere else when the trigger was pulled. And I suppose Orwell mounted the case against Auden’s political writing, that there was something glib, I think he felt, about it, and rhetorical, and a little too smacking of a leader rather than a morally responsible poem. And I think Auden took Orwell’s criticism to heart. SP: Absolutely. And in fact there’s a very striking piece of his own prose I remember reading in a piece that Stefan Collini published in the LRB in 2015 about Auden, and quoted Auden saying that one of the things that is a torment and a shame for a poet is to recall the poems which aren’t necessarily bad poems as poems, but are, as Auden says, ‘clever forgeries, expressing feelings or attitudes which are not really his, but which vanity, a wish to please an audience, or the wrong kind of conscience deluded him into fancying were genuine’. And I think it’s poems like ‘Spain’ he’s thinking about there, isn’t it – that he’s been, as it were, deluded into writing the sort of poem that wasn’t really his own kind of poem by, by his striking phrase, ‘the wrong kind of conscience’? SP: I think it’s a great poem. I think it’s a poem like an Andrew Marvell poem about the Civil War – I think there’s something absolutely, you know, pellucid about its political sanity, really. MF: And as a public poem, that it’s not easy to write public poems about political developments in a manner that is arresting, original, convincing. SP: I agree, I agree. And you pointed out how wilfully he misreads those lines about new styles of architecture are a change of heart; and similarly, when he drops ‘Spain’ from the canon, he quotes the last two lines of the poem, ‘History to the defeated / May say Alas but cannot help or pardon’, and says that that means that success is goodness, and that’s a wicked doctrine, and I never held it, and I shouldn’t have written a poem about it – but of course those lines don’t say that at all, they say something extraordinarily hard-headed about the historical process, it seems to me, and sympathetically. MF: Yes, I think it’s he evolved a notion that somehow the enchantment or magic which was present in his early poetry, and which so kind of hypnotised his followers, was dangerous – that he could easily become a demagogue in some way. And I think the example of the ways charismatic leaders such as Hitler and Stalin had mesmerised their followers was … inspired a kind of extreme reaction against that kind of enchantment of language, because it encouraged people just to trust the leader, and follow their leader. And the emphasis that he moves into in his later years on the private, and one’s own inner sphere, and that’s all one can look after, was a way of rejecting the dangers, or the temptation, to assume this kind of public role, and to become a leader who therefore had followers – who might go to Spain and get killed because Auden had written this poem. MF: And that focused itself in his reaction to the death of Yeats, didn’t it? SP: Yes – let’s talk about that. MF: Yeats was the poet who worried that his play Kathleen Ni Hoolihan had sent out certain men the English shot – the idea that his art could somehow galvanise people to sacrifice their lives for Ireland. Auden said, Don’t be silly, that’s nonsense, that could never happen; and famously, in the elegy for Yeats, says ‘poetry makes nothing happen’, and that becomes almost his credo – that poetry is a ludic … is a game which can be enjoyed, but it doesn’t go beyond that: it’s not prophecy, it’s not biblical; the poet shouldn’t be construed as having that kind of prophetic or charismatic or political relationship with his or her readers. SP: So the Yeats elegy that you’ve mentioned, which is, you know, one of his greatest works, I suppose, and … is often seen to make a kind of hinge or a kind of pivot or a sort of turning point in his career; and it’s one of the first things that he writes upon arriving in America – so we should say something about that, shouldn’t we: this decision that he takes in the very … I suppose the decision was taken in the winter of 1938 to go to New York, and the decision to settle in America seems to have followed on quite quickly. How do you interpret this relocation, this translation, that seems such a career-defining moment in retrospect? MF: It has become career-defining, and the English Auden and the American Auden is that kind of division which operates in almost all accounts of Auden’s development – and Auden himself did think of himself as having made a decisive and important decision; yet, Barbara Everett, in her piece in the London Review of Books, from the eighties I think, makes a strong case for it actually being a non-event – that it was part of the haphazard nature of Auden’s life that part of what I’d call his bohemianism was not having a particular programme, distrusting all programmes, avoiding committing himself to any particular mode of living or behaviour or institution; and he happened to go to America, he happened to fall in love with Chester Kallman fairly soon after he arrived there, in the spring – he arrived in January; and that Chester was the love of his life. He got through the wall, as Auden described it, of his solipsism, and that that determined his future. But Auden himself … the reason … the terms in which he discussed moving to America was the idea of living without roots, that he felt in England he was too tied to his family, that somehow he was playing his part in some family romance, and he was the prodigal son of some kind, and that that was conditioning him and ruining his … and ruining him as a poet, and deceiving him into kind of rhetorical postures that were dishonest, and that in America he would not have that kind of sense of familial connection to his audience – he’d be living in the existential void, and that was his new a concept of modernity, that it was a kind of existential void, an Age of Anxiety, to use his own … the title of one of his later long poems; and that, in America, you could most fully lead … you could most fully experience the Age of Anxiety, and the kind of rootlessness, the sense of not belonging, of alienation, and that that would bring out the best in him as a poet, that his own poetry would have to respond to that kind of … the new conditions, this new condition of modernity. SP: So this is a very striking and idiosyncratic take on the idea of America being the land of the free, isn’t it? Because the freedom that Auden is embracing, or the freedom that he’s celebrating … isn’t a political freedom, although of course he was very much in favour of democracy, and so on; but it’s an existential freedom, as you say, and its impact is actually terrifying – it’s a sense of vast depth beneath your feet which might give way at any moment, a kind of Kierkegaard – he’s reading lots and lots of the Danish theologian Kierkegaard at this point in his career, isn’t he, and Kierkegaard is the great theorist of anxiety, of fear and trembling as being the most authentic states of the human soul. MF: Yeah. Well, I think his reading – which is particularly voracious at this time – should all be seen as part of an intellectual-slash-emotional quest, that Auden was powered by this need to, from his reading, discover ways of living which would then get processed in his poetry; and the elegy on Yeats that we’ve been talking about is a good example of what he felt he needed to move beyond, you know, Yeats’s connection to the parish of rich women, ‘Mad Ireland hurt you into poetry’, and so on – that that connection with nationalism, which was so vital to Yeats’s poetry, was precisely what he needed to move beyond, to become what you might call a post-national poet, in some ways – that he would therefore escape the paradigms of Englishness, and of the English decay or English imperial repression, seen in psychological terms, and somehow fulfil more of his potential. Now, not everyone has agreed that this move worked to the good for Auden’s poetry; and Philip Larkin, in particular, published a fairly withering attack – I think it was in a review of Homage to Clio in 1960, called ‘Whatever Happened to Wystan’, in which he said that, by leaving England’s kind of … England of the thirties inspired much of Auden’s greatest poetry, because of the anxieties and tensions of the pre-war build-up; and then, when he went to America, he lost his subject, and he becomes a kind of free-floating, rather bookish poet, who is rarely moving. SP: Yes. Stefan Collini quotes Larkin in that essay I was referring to a moment ago: ‘an engaging, bookish, American talent, too verbose to be memorable and too intellectual to be moving’. That’s quite damning, isn’t it – especially since the young Larkin had been so influenced by Auden? SP: Is there anything in it at all? The charge of verbosity, is there something in that? SP: I’ve no doubt about that! – one of the most arresting openings ever. He was writing it, wasn’t he, in Dizzy’s Bar, a gay bar; and the Nazis invaded Poland – and that was the end of what he calls a low dishonest decade. And it is a kind of poem which Joseph Brodsky, for instance, read in Russia, and it had an enormous influence on him – he wrote a kind of eighty-page essay explaining the impact of Auden’s poetry – this particular poem – on his own sense of what poetry could do. That’s not a deferential voice, is it? That’s not a self-cancelling or a modest voice – it’s actually a voice that’s assuming quite a considerable kind of moral authority. – shows that he won’t be kind of bowed by these political pressures. So, in that sense, it’s a rather defiant and uplifting poem. SP: Yes, I think that’s absolutely right. And I think it’s also the point about using Yeats’s for is a very interesting one, isn’t it, because it shows that a sort of Yeatsian aspect to his sense of poetry and poethood never quite goes away. And to say that you’re compounded of Eros and dust is to call up only one person, which must be Byron. So there’s a considerable amount of poetic swagger still going on, even while there are lots and lots of humility tropes being thrown into the poetry from time to time. MF: Yes, I sometimes wonder if the Eros is also Chester Kallman, though, who is making a big impression on Auden’s life. And I think one can’t overestimate the importance of meeting Chester, for Auden. I mean, Auden found out relatively soon that he and Chester had different ideas about what their ‘marriage’ – and that’s in inverted commas – meant, that they weren’t, in fact, sexually compatible; and, though they had a honeymoon and in Taos, where they met Frieda Lawrence, which must have been an interesting occasion, that pretty soon Chester found Auden’s rather obsessive possessiveness rather confining, and he started … he reverted, I suppose, to his ways, which were very different from Auden’s ways. And so, after about 1941, I don’t think they did actually sleep together that often, but they lived together, on and off, for the rest of their lives, and in fact Chester only survived Auden by one year – he died at the age of fifty-four, a year after Auden. So, however kind of … sometimes comic, sometimes tragic their relationship can seem, there’s a sense in which he did … he was Mr Right for Auden, and although he had to experience Mr Right through frustration more often than through gratification, he, in the end, never wavered in his love for Chester. And that connected him to America, because Chester was, you know, from Brooklyn. SP: So, this period when he’s first in America, early 1940s, lots of important things happen to him – Chester is one of them, as you’ve just been saying; his mother dies; he returns, as he sees it, to the Church of England, he becomes a Christian again, he’s reading lots and lots of theology; he starts writing a whole series of very long poems, some of them explicitly theological, and some of them much more about attempts to define himself as an artist, to define himself as a writer, of which I suppose the masterpiece is his long reflection upon Shakespeare’s The Tempest, which is called ‘The Sea and the Mirror’. Could you say one or two words about ‘The Sea and the Mirror’, which is a very extraordinary work, isn’t it? MF: Well, no work of art has had a richer afterlife than The Tempest; but the ‘The Sea and the Mirror’ is one of the greatest examples of the ways in which Shakespeare’s narrative and characters can be used to expound on almost all subjects. But Auden’s particularly concerned with art, and the role of art, and the ways in which art, in Caliban’s long final speech, which is written in a kind of late … a parody or pastiche of late Jamesian style, the idea is that art must fail, in some kind of conclusive way, and it is through art’s failure that it succeeds, because it’s in the gaps between what art can imagine and the ideal, the great good place; and it’s in our sense of the failure of art to match up to the great good place that art’s power lies. And there is also … you have Prospero as a kind of magician figure, who must break his wand and drown his books – and, to an extent, that can’t help seeming to be a way for Auden to describe his own rejection of his own mage-like power, so … so much in evidence in the poetry of the thirties, and somehow become responsible and aware of the limitations of art, rather than in thrall to the possibilities of art. SP: Yes, absolutely. It’s important that Auden’s poem takes place after the final curtain of Shakespeare’s play, isn’t it? So, it’s the moment when Prospero’s already decided he’s got to go back home again; and it’s a poem about giving up enchantment, about giving up magic, about trying to reconcile yourself to a new kind of creativity which embraces a post-magical, post-Yeatsian, post-romantic world? MF: … extraordinarily productive in these early years in New York, and he thought of his body almost as a machine, and he would feed himself Benzedrine like a kind of engineer would pour oil into his … engine. MF: And he would get up and write, you know, enormously long poems – ‘New Year Letter’, ‘For the Time Being’, ‘Sea and the Mirror’, ‘Age of Anxiety’ are, you know, a thousand pages, roughly, I would say, perhaps – maybe not quite that long; but … extraordinary sense of Auden embracing the concept of America as a place in which one was industrious, and he would be industrious as you could possibly be within this kind of … within this capitalist society. SP: Okay. Well, let’s try and, of course, there are many decades, or, I mean, several decades in America, aren’t there; but let’s try and say something about that American voice, or his role within American literary culture. I mean, he has quite a decisive influence, doesn’t he, within American poetry, and the American poetry scene? MF: Well, he had a huge reputation before he arrived, so everyone knew who Auden was – he was about the most famous poet, along with Eliot, on the planet, pretty much, or Ezra Pound; but he was very well known. And in New York he became the kind of centre of a kind of coterie of friends – friends of Chester Kallman’s – and so he was very influential on poets like James Merrill, John Ashbery, Anthony Hecht; and he was also editor of the Yale Younger Poets award, and he gave that to Adrienne Rich, to W. S. Merwin, to John Ashbery for Some Trees, as well. So Auden became a sort of uncle figure – not only to gay poets, to non-gay poets as well, but particularly to the gay poets in New York, of which there were plenty. SP: And the later Auden voice, if you wanted to give an example of that, well, the one I like particularly is a poem called ‘In Praise of Limestone’, which isn’t actually that late – it’s 1947, isn’t it, 1948? And this is a great example, isn’t it, of something that you said at the very beginning of our conversation, which is that one of Auden’s great themes was Englishness and England; and here is a poem written from his American incarnation, but with his thoughts returning compulsively, as it might seem, to the limestone landscape of the north, where he grew up. Really beautiful ending, I think. Because it dissolves in water. There’s something very beautiful about the use of the subjunctive, it always seems to me – such a curiously essayistic way to open a poem. MF: Yes. By this time, he was writing enormous quantities of prose, because he survived by reviewing for the New Yorker … and New York Times, and so on. So he was reading enormously, and writing these … And his collected criticism fills, what, four, five … ? MF: It’s six very chunky volumes, so there’s no shortage – and Auden was never short of an opinion in his prose, so there’s rather too many sentences that begin, ‘There are three things about …’, ‘There are four ways of …’, and so on. But some of the later poems can be very effective. ‘The Shield of Achilles’ is perhaps the last one we should consider, which is one of the most kind of devastating visions, I think, of post–World War II landscape, and the kind of … not only the actual landscape, but the moral and the kind of social landscape, as well. And it takes its … its concept is that Hephaestus, who designed the shield of Achilles, when he’s returning to battle, after the death of Patroclus, he’s now doing … designing a shield for the modern age, and it’s a terrifically bleak one. They’re striking lines, aren’t they? I mean, they’re appalling, in a way, in the stringency and the bleakness of the vision that they’re putting forward. MF: Yes, I mean, it was around this time, wasn’t it, that people were wondering what kind of art you could have after Auschwitz. And this poem, which is 1952, sort of pre-dates, say, Sylvia Plath’s ‘Daddy’ by a decade, but in its attempt to absorb the … we could call it almost the nihilism which had followed on from an understanding of how the Holocaust had been carried out, ‘The Shield of Achilles’ is as unremitting, and I think as powerful, as any poem of the post-war era. SP: There’s something very powerful, it always seems to me, about the way in which it’s written with such a sense of its form. It’s written in a kind of interwoven stanzaic structure, which itself seems an important part of its meaning, that there are various sorts of formal promises … are being kept by Auden in this poem. It’s not in free verse, it’s in … organised and patterned language, which itself, as I say, enacts the keeping of promises. So, even though he’s describing this horrible dystopian nightmare in which promises are never kept, there’s a kind of promise-keeping potential to the human that is being enacted in the very form that the poem is taking. MF: Yes – and its use of the classical, as well, is very striking, if you compare it with the ways in which it was used by Pound or Eliot, in which the classical is somehow a respite or a way of contrasting with the ideals of Hellenism with the chaos of modernity; but in Auden’s poem, that’s not happening at all – that is actually happening to Achilles himself. SP: Yes, that’s right. Let’s just have a glimpse at one last poem, shall we, just to give a sense of very late Auden. And the one that I think exemplifies both perhaps the virtues and also perhaps the limitations of the very late Auden voice, might be a poem like ‘Moon Landing’, written in August 1969, after Neil Armstrong has set foot on the moon. Auden is in a very kind of comical, slightly camp, grumpy-old-man mode, thinking this has all been a total waste of time – and not because it cost too much money, but because it’s vulgar, and it’s, you know, silly. And the poem he writes to capture that is written in a very different kind of way, isn’t it, to the stanzaic kind of formality of ‘The Shield of Achilles’ – this is written in a much looser, sort of syllabic verse, which he likes to write in, in later years. And this really is much more that kind of prosy voice that you were talking about. What do you think about this late voice? MF: It’s still quite funny. SP: Yes – it’s got good jokes in it, yes. Is that how you say M-N-E-H? MF: Clearly, and he prides himself on including American terms – like, this is obviously from Yiddish, as Jewish American terms, and creating a kind of language which was hospitable to different ranges of diction. I mean, that’s quite striking. And the equivalents of artists, chefs and saints has its own kind of provocation, doesn’t it? 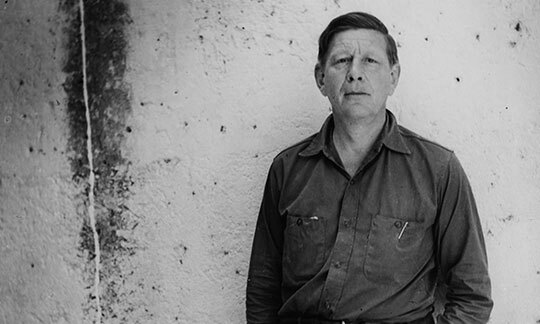 MF: I think there’s a humility in Auden which is one of the most striking characteristics, and unusual characteristics, of a great poet, that often great poets have a kind of hard self-belief or egocentrism which survives all their various kind of … the trajectory of their careers, and the ways in which their thoughts or idioms develop. But Auden, from beginning to end, despite the kind of seemingly prophetic or didactic or like a preacher-man aspect of his poetry, there is a kind of humility in it. And when I was re-reading his poetry in preparation for this, I just found myself weeping at that particular aspect of Auden – not just the beauty of the poetry, particularly the early poetry, I just found it overwhelming … Paid on Both Sides, Poems (1930) – I just found them just so moving to read. But I also felt that there was a humility in his concept of poetry which was very distinctive and very powerful.